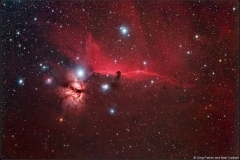 The following Copyright conditions apply to all images produced by Prof. Greg Parker at the New Forest Observatory. 1) All photographs including background images and thumbnails, text and digital/optical techniques described on this web site are Copyright 2004 – 2018 Prof. Greg Parker [Greg Parker], unless otherwise credited. All rights reserved. 2) Images may not be reproduced, published, copied or transmitted in any form, including electronically on the Internet (WWW) without written permission from Prof. Greg Parker. 3) Contact me at greg@newforestobservatory.com if you would like to purchase any images for use in your promotional/advertising literature and please check out the Image Library notice below which also gives an indication of pricing. No images are available “free of charge”. 4) It is not permissible under any circumstances to use any images or information on this web site for either commercial or educational purposes without written permission from me which will require a written agreed arrangement for just compensation from you. 5) If permission for use of an image or information is granted place the label Copyright Prof. Greg Parker on or near the image itself in a font size that can be clearly seen. The image or information may not be distributed to any third party. 6) Neither images nor information from this site may be modified under any circumstances. 7) It is not permitted to “mirror” any content of this web site on another server without my written permission. 8) I retain the Copyright for my images under all circumstances. Agreed use of my images does not imply any change of Copyright ownership. 9) These intellectual property rights are protected by the Copyright Laws of the United Kingdom and the new International Copyright Treaty. All images on this site are digitally watermarked to allow tracking of the images and to ensure compliance with the United Kingdom and new International Copyright Treaty. Quasars, Stars and Other Objects. Select a category to browse the images and enjoy! Each astrophoto has a brief description of the object’s location in space, the equipment used to take the photograph, and the sub-exposure and total imaging times. Print Sales – If you are interested in owning a copy of any of our images then please take a look at our purchase page where you will find details on the different sizes, framed and unframes and the prices. The most widely travelled images [so far] are now located in homes in Australia, Saudi Arabia, Seattle and Sri Lanka! We haven’t imaged it at all – ask us and we’ll see if we can image it for you! We have the image but we haven’t uploaded it yet – again, ask us, and we’ll get a move on with the upload. Image Agency – Please check out the New Forest Observatory Image Agency for details on how deep-sky images, pictures of the New Forest, or high-speed flash images could enhance your advertising campaign. Galaxies are massive, gravitationally bound systems consisting of stars, an interstellar medium of gas and dust, and dark matter. 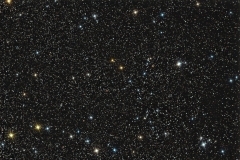 Typical galaxies range from dwarfs with as few as ten million stars up to giants with one trillion stars, all orbiting a common center of mass. 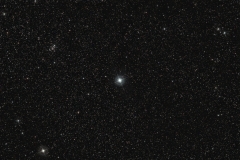 Galaxies can also contain many multiple star systems, star clusters, and various interstellar clouds. 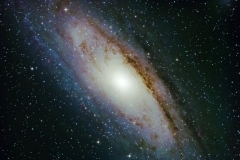 The word Galaxy is derived from the Greek word for milk, a reference to our own Milky Way. Nebulae are interstellar clouds of dust, hydrogen gas and plasma. It is the first stage of a star\\\\\\\\\\\\\\\'s cycle. The word Nebula is derived from the Latin work for mist. A Quasar is an extremely bright and distant active nucleus of a young galaxy with a compact halo of matter surrounding a central supermassive black hole. A star is a massive, luminous ball of plasma. A star shines because nuclear fusion in its core releases energy which traverses the star's interior and then radiates into outer space. Almost all elements heavier than hydrogen and helium were created inside the cores of stars.